I wonder if that’s how you feel about Life Coaching with me, or with anyone? It’s really hard to know whether you’ll get what’s so beautifully portrayed in the picture. When you work with a life coach or counsellor or mentor you are giving a little of yourself to someone for a time. It’s personal, you don’t want to do that with just anyone. I am Nicola Hughes before I am anyone else. Born in the North West of England. I am a wife and a Mum to two little pickles who are 1 and 3. I work part time and I run my own business. Why are they doing my head in? How will I get all of this done? Work with me because I am a real person, I’m living the everyday struggles of life. Yet I’ve painted a picture for myself and I’m making it happen. I know you don’t want to waste your time (or money) on something that isn’t going to work. I know you are concerned whether you will ‘Nail It’ or not. The difference is you get to paint the picture, not me! I offer everyone a FREE introductory session. This is so you can hear my voice, see if you like working with me, like my style and ask any questions. 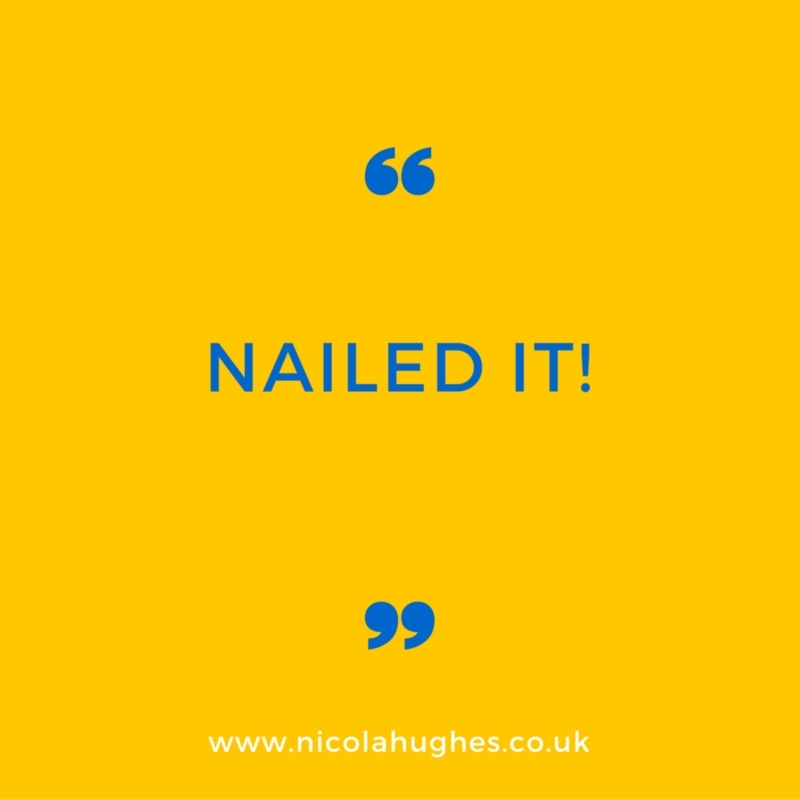 Then join me at www.facebook.com/nicolahughescoaching so you can keep up with what’s going on and be inspired. Previous If the X Factor was the Guilt Factor I’d get to Judges Houses!